Mile High Urban Farming is committed to helping people grow their own food, and we supply organically raised, non-GMO flowers, herbs, and vegetables grown in Denver, CO. Featuring a comprehensive selection of design elements tailored to your home garden or garden space, we cater to your vision with full flexibility and customization options. Our Living Decor reflects a clean, modern aesthetic to compliment any style. 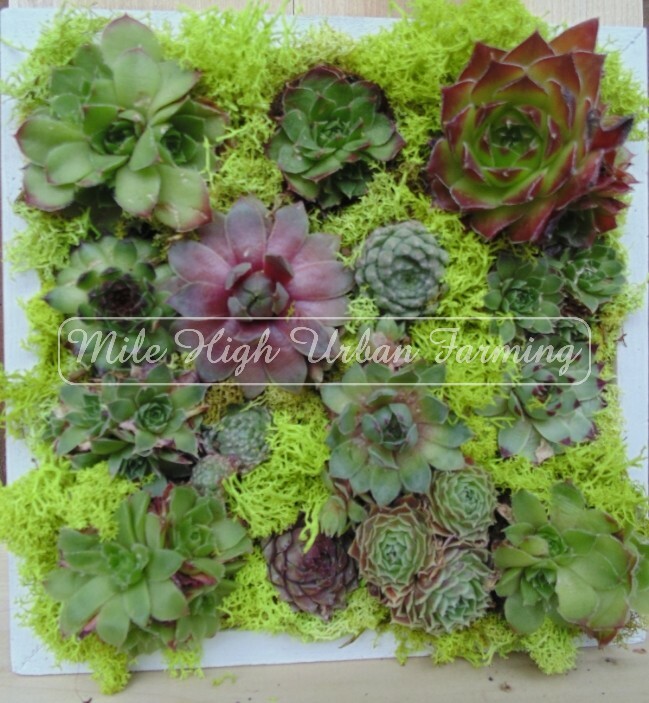 We design Vertical Gardens and terrariums perfect for your home, office, or wedding/event. We are proud of our Denver roots! We grow our own heirloom non-GMO flowers, vegetables, and herb starts organically. Our seeds are sourced right here in Denver CO, in planted in CO organic vegetarian soil.